On a Central and Eastern Europe tour, one will find rich history on every corner of the imperial cities of Prague, Vienna and Budapest. Explore their magical cobble lanes, cathedrals, bridges, majestic palaces and magnificent castles; enjoy the view of stunning nature and its rivers, lakes, and gardens. 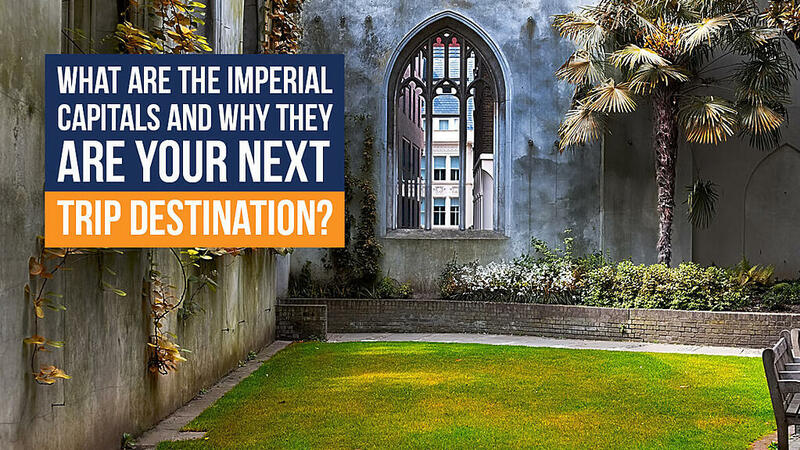 A trip to the imperial capitals will enrich your understanding of the various cultures and history of these cities and you, too, can witness their imposing grace and elegance like many others have so far. The ravishing, well-preserved medieval city of Prague offers gorgeous places to visit: buildings in gothic, baroque, renaissance, and art nouveau style, romantic riverside location, winding cobblestone streets and ancient squares. Once in Prague, there is a list of must see places, from historical sites, museums and art galleries to some amazing restaurants with exquisite food and bars with the best beer in Europe. The oldest part of the city is Old Town Square, Prague’s main marketplace for more than 1000 years. One of the main tourist spots is also located in the old part of the city, Astronomical Clock. Taking a walking tour is the best option to explore and fully enjoy the beauty of Prague and its richness: St Nicholas Church, Charles Bridge, Royal Castle of Hradcany. Between the Old Town Square and Vltava River is Josefov, the Jewish Quarter. Explore the architecture of the Spanish synagogue and visit the Jewish museum, a collection of six monuments. Over the centuries, Jewish people from the country and those coming from all over Europe were forced to live in this area. During WWII, Nazis gathered Jewish artefacts and brought them here; Adolf Hitler decided to preserve this Jewish Quarter and make it a museum of the extinct race. Most of the collected artifacts can nowadays be seen in the museum. On the corner of Dušní and Vězeňská, Franz Kafka’s birthplace, literature fans can enjoy his sculpture. Another imperial city that must find its place on your list is Vienna. Its imperial grandeur, palaces and baroque streetscapes will seduce you with their charm. St Stephen’s Cathedral must find its place on your list of attractions to visit. It is one of the most important Gothic landmarks in the country. Another place that is a must see is Hofburg, located at the center of Vienna. It is the former royal and imperial residence that is nowadays a mixture of courtyards, museums and ministries; it is the official seat of the Austrian President. Museums worth discovering and exploring include Imperial Treasury, art galleries and many more. The palace was built in the 13th century and kept expanding thereafter. Kunsthistorisches Museum is a palace that houses many collections of art obtained throughout the centuries. The primary collections are those of the Habsburgs. To see all those masterpieces will enrich your knowledge of the prudishly catholic and politically omnipotent family that ruled half of Western Europe in the 16th and 17th century. Built in the 18th century, the Belvedere palaces are the most stunning Baroque landmark not only in Austria, but in the whole of Europe. Listed as the UNESCO World Heritage Site, the palaces keep the greatest collection of Austrian art from the Middle Ages to the present day, as well as various international artists such as Vincent Van Gogh, Claude Monet and others. After Prague and Vienna, Budapest is the third gem worth exploring. One of the cheapest destination sites, this city is also one of the most historic ones in Europe, offering various picturesque places to enjoy. Budapest is a charming architectural dream as it is a mix of Gothic, Roman and Turkish styles. It is said that this city has many hot springs due to the super thin earth crust. Parliament building, built in 1902, it was the world’s largest parliamentary building in the world. Its façade, decorated with 88 statues of Hungarian rulers, numerous gargoyles, spires, pointed arch arcades and Gothic ornaments is truly magnificent. Vaci Utca is one of the most famous pedestrian streets in Budapest. It’s the most popular among tourists for its many shops and restaurants. Hero’s Square is one of the most symbolic and largest squares in the city. It contains the Millenary Monument, a 36 meter high pillar topped by a golden Archangel Gabriel. Other chieftains and Prince Arpad are at the base of the column. The monument is of historical significance- it was built in 1869 to mark the 1000th anniversary of the Magyar conquest of the Carpathian Basin. Other places that deserve tourists’ attention include: Corinthian Column, The Tomb of the Unknown Soldier, Castle Hill area, Royal Palace and Matthias Coronation Church.